What will the future of work look like in Australia? Australian workplaces are facing a revolution in both organisational cultures and working practices; there are greater opportunities to innovate, exercise high degrees of autonomy and flexibility, and yet there are also significant challenges brought about by more uncertainty about employment pathways and job security. The way we work is changing; the opportunities created by globalisation, technological advancement and demographic changes are making us rethink the nature and meaning of ‘work’. As disruption impacts on traditional jobs and industries, Australian business leaders need to adapt their business practices to maintain productive, innovative and competitive outcomes. Expectations of leaders are changing and it’s imperative to innovate and build dynamic workplace cultures. Leaders who understand the interaction of People, Places and Technologies will be best placed to prepare workplaces for rapid change. Professor Simon Bell, Director Centre for Workplace Leadership. The Centre for Workplace Leadership is hosting a one day Conference to explore the future ways of working. The 2017 Future of Work offers an important opportunity to stay abreast of current Australian and international leadership trends. Explore the conference program. 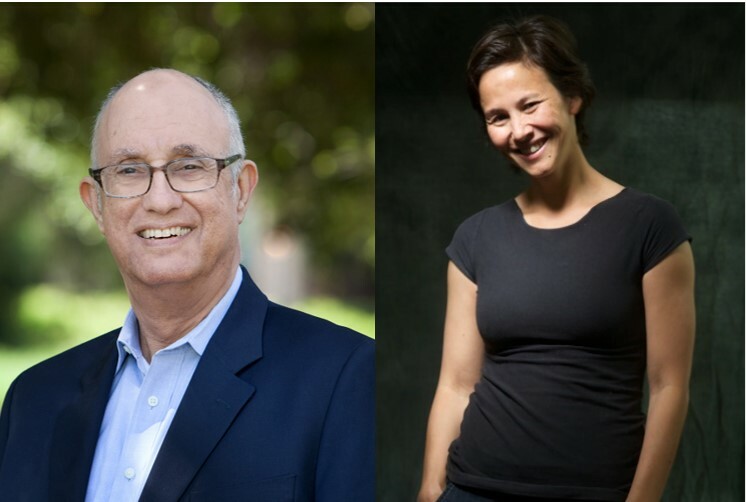 Dr Jeffrey Pfeffer, Stanford University and Professor Michelle Ryan, University of Exeter, innovators in workplace leadership practices, will lead discussions on big picture changes and offer insights and practical tools for embracing opportunities. Through lectures, panel discussions and workshops industry leaders will share experiences and address issues of leadership and career. The Centre has arranged a world-class group of thinkers, practitioners and influencers. Learn more about the impressive line up. Dr Jeffrey Pfeffer, Stanford University and Professor Michelle Ryan, University of Exeter, will be sharing their thoughts at the 2017 Future of Work Conference. This one day event has been designed to give delegates real-life, take-away skills to apply in their workplace. The Centre For Workplace Leadership is dedicated to excellence in leadership research, improving the quality of leadership in Australian workplaces, and developing individual leaders. The 2017 Future of Work Conference will be held at University of Melbourne University of Melbourne's Parkville campus Tuesday 28 November 2017.